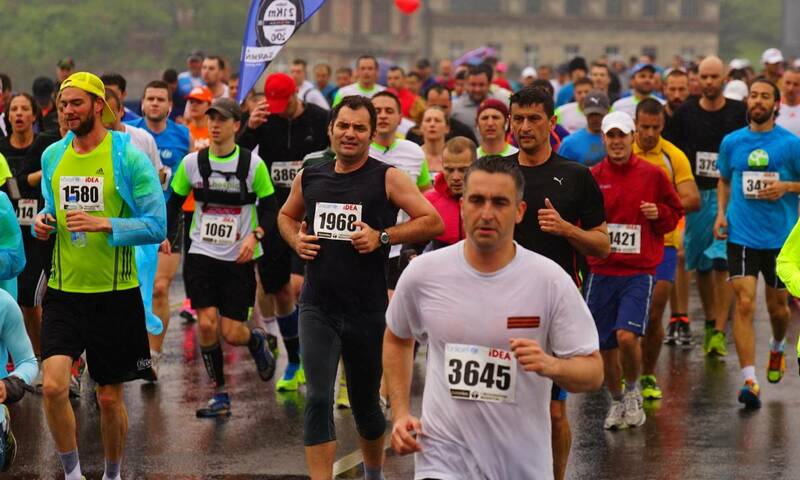 In Belgrade, on April 22nd, the legendary sports event “Belgrade marathon” takes place, marking its 30th anniversary with some of the world’s elite marathon runners. To the joy of Belgrade residents and participants arriving from all around the world, on April 22nd, Belgrade will host the jubilee 30th Belgrade marathon race. Marathon race is one of the most ancient athletic disciplines, and at the same time one of the most demanding basic sports. The discipline gathers superior athletes, who not only have fantastic stamina and endurance, but also immense mental strength necessary to generate the additional motive and exceed the limits of human endurance and triumphantly cross the finish line. Marathon embodies the ancient struggle between a human and numerous factors, yet the most often, marathon is simply a symbol of struggle between the man and his inner self. This is the reason why this discipline appeals to millions of people around the globe – participants are trying to give their best in this race and prove capable of dealing with the harshest challenges. Belgrade marathon is a sports event with a rather long history. The event came into existence after the initiative of a famous journalist Djoka Vjestica in 1988, when the first race was held. An interesting fact is that the race was 23km long and only the runners from Yugoslavia participated. In 1990, the marathon goes international. With the great help of Fred Lebow, the director of New York marathon, the first official marathon route was established and Belgrade marathon becomes the member of the World Marathon Association. In 1990, runners from 15 countries took part in the marathon. Since then, Belgrade marathon has been organised every year, without exception. Even in 1999, for the first time in its history, the marathon race was held under the threat of immediate war danger, under the slogan “Stop the war – run the world”. In 1999, the marathon race was not a competitive one, but nevertheless, a total of 39 marathon runners from 7 countries ran the entire race and together crossed the finish line. This year’s 30th anniversary of Belgrade marathon will also be remembered for one important thing. After 30 years of marathon, the runners will follow a completely new route, developed to create some new competitive challenges, and to promote the great progress the city of Belgrade is making. This year’s route will include running across two bridges – Branko’s bridge and Ada bridge. There will definitely be some new records this year, and the rest of the world will be able to enjoy the fantastic view of Belgrade, better than ever before. As always, Belgrade marathon includes the marathon race – the route of 42.195km, normally reserved for professional athletes for its demanding character, the half-marathon race – the route of 21.1 km in total, also traditionally popular among the occasional runners wanting to prove they can live up to the challenge, and the Fun Run – the 5km route which requires no registration and is therefore open for all people and guests of our capital. This is a great opportunity for all of them to briefly feel the atmosphere of a genuine international competition. A week before the official event, the traditional Kids’ marathon will take place and is intended for the youngest runners – and perhaps future marathon runners. While Belgrade is busy preparing the organisation of such a major sports event, the team behind web site noviapartmani.com are also preparing to take part in this event. As true sportsmen, we have at least one member of our team every year who takes part in half-marathon race. This is our small contribution to this event and better sports spirit in Belgrade. We also invite all the participants of this sports event who are going to stay in Belgrade to choose from the vast variety of accommodation on our website. Find yourself a comfortable place to stay, which will allow you to gather the inner strength and start fresh in conquering the streets and boulevards of Belgrade. Afterwards, you’ll be able to get proper relaxation and return home as a true winner. Also, in the category Apartments with jacuzzi you can find a lot of luxury apartments where, just like in ultimate spa centres, you can recover and relax after such immense physical and mental effort.